With help from the community Lane, a young man with Osteosarcoma, was granted his Dream Journey of attending the E3 Trade Show in California in 2011. 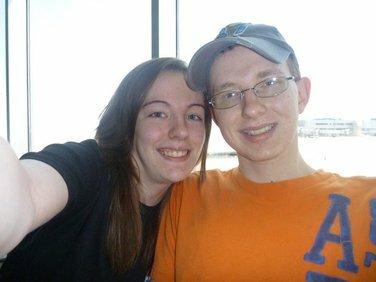 Lane, along with his girlfriend Chelsea, were flown to California, received exceptional accommodations, were provided with VIP passes to experience the E3 Trade Show, and given additional spending money for food and shopping. Lane’s experience, according to Lane, “Was phenomenal!” For a few days he could forget the emotional and physical stress, cancer was taking on his young 21-year-old body.